Phenomenological thermodynamics consists primarily of a set of empirical rules and relations which, for more than one hundred fifty years, has provided a correct description of many of the macroscopic properties of bulk matter. Although the rules evolved some during this period, once the concept of energy and its conservation was grasped, as well as that of entropy, the rules quickly achieved their present form. With the advent of a serious particulate view of matter, however, it was realized that the thermodynamic rules were possibly only manifestations of the fundamental physical laws governing interactions among the basic constituents of matter; that is, atoms and molecules. 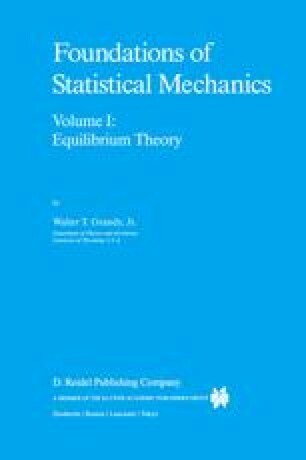 Thus, one of the objectives of what Gibbs first called statistical mechanics is to provide an acceptable and fundamental explanation of phenomenological thermodynamics, in both the physical and philosophical senses. In addition, one might hope to go further and describe all physical properties of bulk matter in this way.